A new documentary premiered that aims to capture the spirit of the indie game scene. Inside of the world of video games lives the subculture of indie games, small games made by small groups of people or individuals. 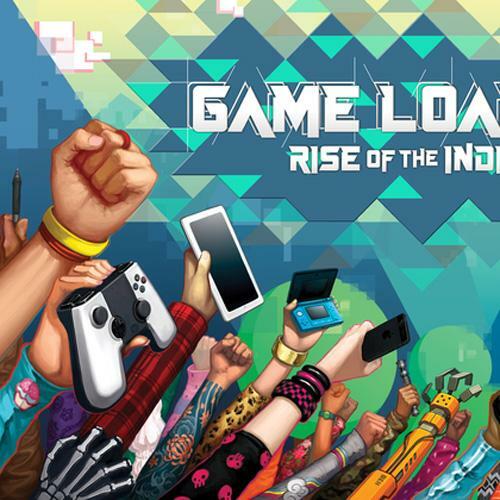 However, indie games have become more visible in the past decade due to a multitude of reasons, such as the accessibility to tools, digital market places, and lower price points compared to the standard $60 console game. Last week at the Games Developer Conference in San Francisco, a new documentary premiered that aims to capture the spirit of the indie game scene. GameLoading: Rise of the Indies was made by Studio Bento, a small Australian film studio based in Melbourne. Lester Francois and Anna Brady formed the studio after working individually in film and TV as a producer/director and video editor, respectively. They have spent the past three years traveling the world and interviewing hundreds of individuals who work in the gaming community, and they collected more than 200 hours worth of interviews that were then sliced down to a 90-minute feature documentary. I first met Lester and Anna at PAX Prime in 2013 when I was in Seattle covering the convention. Then, over the course of the next two years, I would see them at every major gaming event I attended as they shot the film. When I first met them, I asked Lester and Anna about the direction of the film, since a few years prior a different studio released a documentary called Indie Game: The Movie. Indie Game: The Movie was a character piece; the film followed a handful of developers during the course of their game's development and told the individual stories of those involved. GameLoading is inherently different. Lester explains, "The film is not retrospective like most documentaries about subcultures – it's a snapshot of what is happening now." This more holistic approach accurately captures the indie spirit that I have discovered since I began following and covering video game development. So many people from all walks of life are making games, because this is the medium that they choose to express themselves. I was able to see both the west and east coast premieres of the film at the Game Developer Conference in San Francisco and then in Boston during PAX East. The film accurately describes the current proliferation of creators entering the game development community and points to why this is happening. One of the key ingredients to the rise of the indies is in the development of software tools that enable people without formal training to create complex systems. A great quote found inside the film comes from Don Daglow, best known for being the creator of games that established several different genres, like Utopia back in 1981 or Intellivision, which is considered to be the first city simulation — or "god game," — which led to games like Populous and SimCity. He also wrote the code for Dungeon back in 1975 which ran on the PDP-10 mainframe computer, this is considered to be one of first role-playing game, or RPG. A final good example, just to show his breadth, he made Baseball back in 1971 for the PDP-10 mainframe computer at Pomona College. Daglow retells a story about how elevators used to have operators because everyone thought of elevators as these "big scary machines." He then compared that experience to today's elevators where everyone just walks in and pushes a button; "Interfaces of one generation become the intuitions of later generations." Right now, there are programs that are teaching children how to program and make games. The film highlights how games, or more simply, how play is an integral part of learning. Playing is often how we learn things about the world and ourselves, and now we live in a world where the technical requirements needed to make these new experiences are so low that we can create more experiences than the standard "get gun, shoot things" experiences that large game makers have been doling out year after year. Even games like Minecraft, which was originally made by one man then later grew to a larger team and ultimately bought by Microsoft for billions of dollars, help teach players that there are more than just destructive ways of playing games. You can be creative. The film is currently touring with showings popping up in cities around the world. The studio is asking people who are interested in seeing the film to visit a website called Gathr.com which specializes in working with local theatres to show small films only if the interest in the documentary is large enough in the area. While it's hard for me to be unbiased about the film, as I work with and talk to many of the featured people in it, I am very interested in having others who wouldn't identify themselves as gamers see it. I want those who wonder why I am so infatuated with this area of gaming to see it and maybe then they will understand what makes indie games so special. The film will be released for purchase on April 14, you can go to www.gameloading.tv to find out more or see if there is a showing near you.